After a decade of being around fighters—training with them, interviewing them, and writing about them—I’ve come to think of Street Fighter as a sort of MMA gateway drug. There are many people in this sphere who first stepped onto the mats or into the ring or cage because they wanted to grow up to be like one of the video game franchise’s famous combatants. There are even more who graduated from playing the characters to watching those who chose to embody them in real life duke it out instead. Some even go on provide Street Fighter-inspired analysis. So when I read that a Japanese documentary about professional Street Fighter players called Living the Game was having its international premiere at Toronto’s Hot Docs film festival this month, I watched it out of both personal and professional curiosity. How would the gamers profiled in Living the Game compare to the people who quite literally live the game? While I went into the film expecting to focus on the differences between the callings, though, it was the similarities between the two worlds that I found most fascinating. At times, following the subjects of Living the Game feels a lot like watching a sports documentary. There’s shots of the gamers practicing the same moves over and over again, trying to perfect the precise timing that can make our break them in competition. There’s discussion of the psychological challenges of competition. There’s major tournaments, like the 2016 edition of EVO in Las Vegas, and all of the victory and defeat they inevitably contain. Even the gamer’s lives feel somewhat familiar to anyone who’s ever watched a fight doc—or an episode of The Ultimate Fighter. Daigo Umehara, the charismatic star of the circuit, has wealth and fame, but struggles with the greater meaning of his career. Yusuke Momochi is a dedicated student of the game, meticulously crating his form and strategy, but he longs for Daigo’s flair almost as much as his success. Luffy struggles to balance a day job with his gaming career on the side. 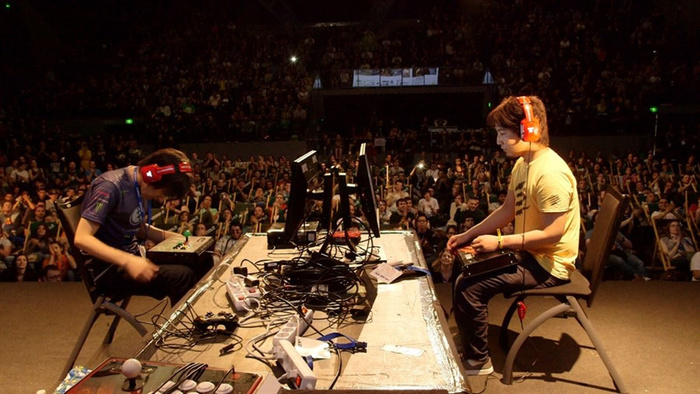 Gamerbee seeks to build the kind of community and life in gaming that has often evaded him in the outside world. The filmmaker had very little familiarity with the culture at all when he first started. He’d played Street Fighter himself a couple of times as a child before getting bored and quitting. “I couldn’t win at all,” he laughed. He hadn’t even been aware that there was a competitive circuit before he read Daigo’s account of it. The thing that caught him most by surprise during filming, he said, was how little joy so many of the professionals seemed to get from gaming. The way they practice is different, too. “The game players don’t really use training the way baseball players bat a thousand times. Training for them is to practice pushing buttons for ten hours,” he mused. 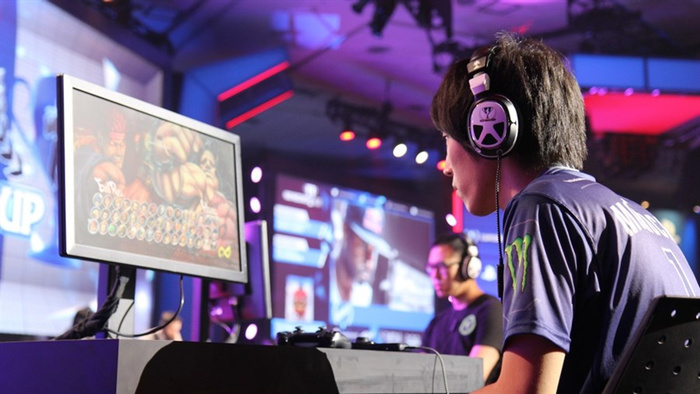 The contrast between competitors who participate in hand-to-hand combat and those who engage in it virtually became particularly clear to Takao when he was filming the EVO tournament in Las Vegas last year. Watching the events take place in the same venues where some of the biggest and most legendary fights—like Manny Pacquiao vs. Floyd Mayweather—took place made the director reflect on just how different and how relatively quiet the action that he was documenting was. Perhaps the greatest difference of all, though, was the idea that fuels this film. Fighters, Takao believes, have a purpose that is as obvious as the action that happens in the ring. For gamers, though, what drives them and what gives their pursuit meaning is far more ambiguous, and it’s that soul-searching that drew him to his subjects. Playing The Game screens at Hot Docs in Toronto on Sunday, May 7. For more information, visit the official Hot Docs site.